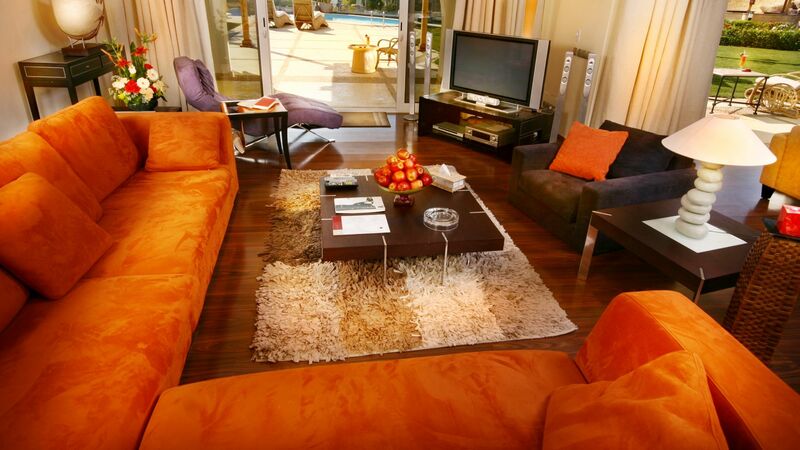 This contemporary villa is furnished with luxe imported Italian furniture. A modern ambience is felt throughout the space, courtesy of nouveau art, black and white frames and plush fabrics. Enhancing the upscale environment is a colour scheme that seamlessly blends bold orange, mustard, brown, black and cream. The spacious Villa Queen Nariman includes a separate dining room with exquisite dining table, private kitchen, deluxe fittings, a secretarial room, additional ground floor bathroom, state-of-the-art entertainment system and plasma television. Each spacious bedroom includes en-suite bathrooms, while the master suite enjoys walk-in wardrobes and en-suite Jacuzzi. Offering superior privacy and luxury, this family friendly villa also includes a private garden and swimming pool for adults and children.